Knut Hanßen, born in Cologne in 1992, became a young student in 2003 at the Robert Schumann University in Düsseldorf under Thomas Leander. After graduation (2009) he studied in the class of Prof. Sheila Arnold at the University of Music and Dance Cologne, where he graduated his concert exam with honors in September 2017. Likewise, he is a graduate of the University of Music and Performing Arts Munich in the further education certificate in the masterclass piano under Wolfram Schmitt-Leonardy as well as in the course of orchestral conducting with Marcus Bosch, Alexander Liebreich and Bruno Weil. He received impulses for his pianistic training in masterclasses under a.o. Kristian Bezuidenhout, Bernd Goetzke, Karl-Heinz Kämmerling, Heidi Köhler, Claudio Martinez Mehner, Rudolf Meister, Roberto Prosseda, Ferenc Rados, Matti Raekallio, Jerome Rose, Anthony Spiri, Jeffrey Swann and Lars Vogt. In addition to regular concerts, ia. at the Robert Schumann Festival Düsseldorf, at the Beethovenfest, at the Beethovenhaus and the Brüser Berger Music Festival in Bonn, in the Steingräberhaus Bayreuth, in the “Bechstein Young Professionals” series in Cologne and at the “Chamber Concerts at the Lower Rhine” he also completed numerous competitions. 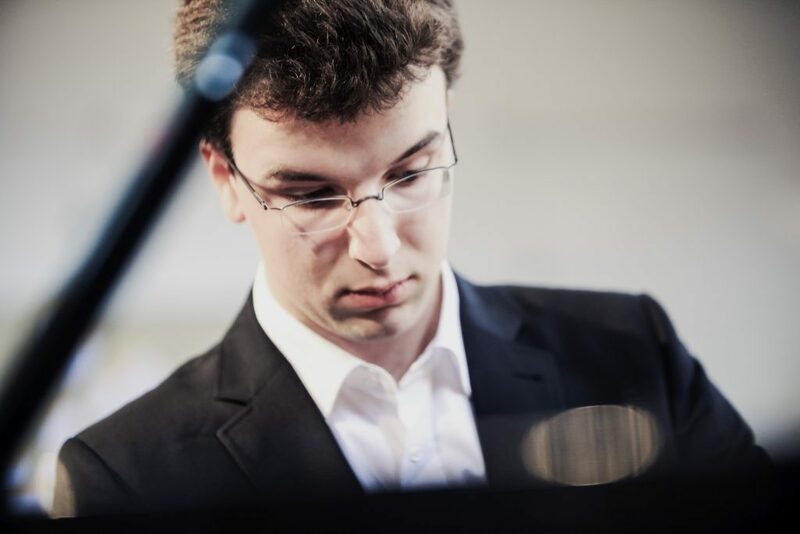 He received first prizes at the national competition Jugend musiziert, at the Van-Bremen Piano Competition in Dortmund and at the Köhler Osbahr Foundation for the Promotion of Art and Science in Duisburg. He was awarded the 6th LIONS Advancement Award in 2015 by the LIONS Club Neuwied Andernach as well as the advancement award of the Brüser Berger Musikfestival in 2017. In addition, he is ia. winner of the Felix Mendelssohn Bartholdy University Competition 2016 (3rd prize), the Jeunesse International Piano Competition Dinu Lipatti, Bucharest 2016 (1st prize) and the Karlrobert Kreiten Piano Competition 2017 (2nd prize) and the Steinway Advancement Award 2017 (1st prize ). He played piano concertos with the Flora Sinfonie Orchester (ia, Cologne Opera, Kultursommer Rheinland Pfalz), the Philharmonic Orchestra of South Westphalia (Landesorchester NRW) and the TfN Orchestra Hildesheim. In June 2017 he conducted the Münchner Symphoniker from the piano in Beethoven’s fifth piano concerto, and in March 2018 he joined Nikolai Tokarev with Chopin’s second piano concerto at the Westdeutsche Sinfonia. The Köhler Osbahr Foundation and the Fasel Foundation in cooperation with the Lithuanian Rostropovich Foundation enabled him to play concerts in Vilnius and Kaunas. Knut Hanßen was a long-time fellow of the Konrad-Adenauer-Stiftung and was supported by the German National Academic Foundation, the Yehudi Menuhin Foundation Live Music Now Köln e.V. and the Cologne Richard Wagner Association. He is supported in the framework of a CD production of PE funding for students of music. In addition, he is committed to promoting the young musical talents in the project “Rhapsody in School”, which was initiated by Lars Vogt. From 2015 to 2017 he was a lecturer for piano at the Musikhochschule Köln. In the music studio Knut Hanßen teaches children and adolescents, also in preparation for studying piano or, for example, participating at the Precollege Program of the University of Music and Dance in Cologne. The lessons always take place on Thursdays.